Each week we highlight one of our Syracuse art posters as seasonal, topical, or just in tune with our current vision, and offer it at a 10-percent discount. It's a good way to catch great work from our archives. It's also a good deal. 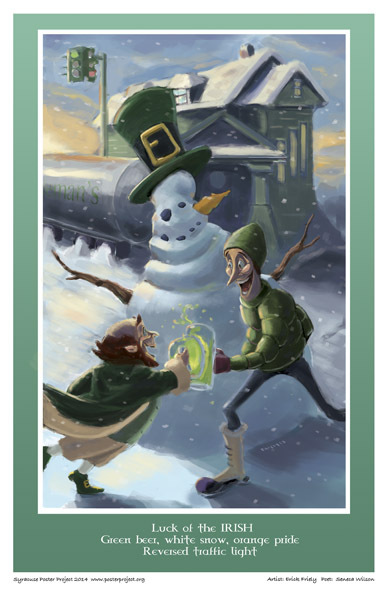 For the week leading to St. Patrick's Day, we re-issue this whimsical Tipp Hill poster from 2014.